Cubs infielder Javy Baez is so appealing as a baseball player because he always seems to know exactly how to change the game in the most creative, unexpected ways. 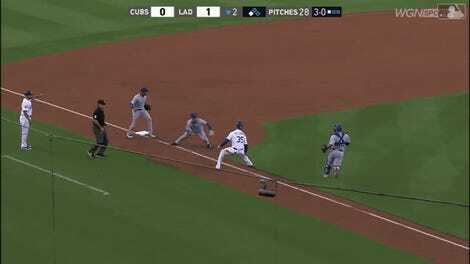 But in tonight’s game against the Giants, Baez’s seemingly unlimited supply of wits and skill failed him, and he shockingly allowed an opposing run to cross the plate when he had a chance to get the out. 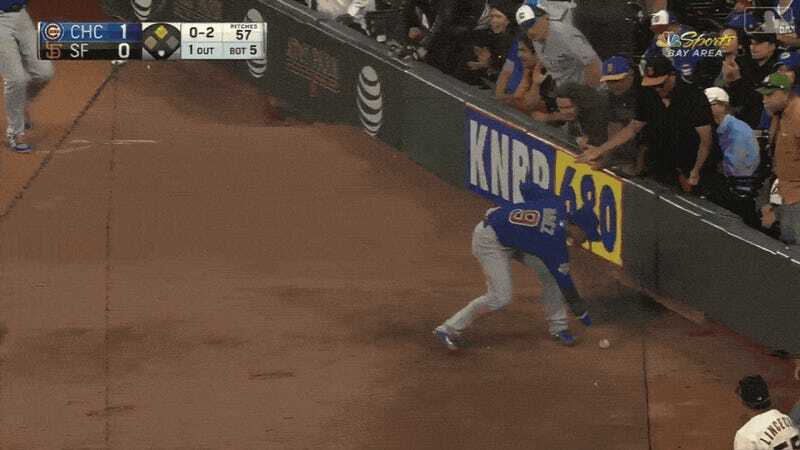 While the primary fault for Alen Hanson’s scoring dash from first to home lies with Cubs pitcher Kyle Hendricks’s errant pick-off, Baez does deserve some of the blame for being just a little too lackadaisical with the throw home—almost as if his past triumphs have made him over-confident. However, this proof that Baez is in fact human only makes him more enthralling.